Dr. Sheerin was born and raised in New York City. His first experience with horses was soon after his family moved to Lagrangeville, a small town north of the city. He began working on a Thoroughbred breeding farm where he gained experience in all aspects of the Thoroughbred industry. During high school, he also competed on the varsity crew team, and his love of rowing took him to Syracuse University where he majored in biology. Following graduation, Dr. Sheerin moved to Florida to manage a small Thoroughbred breeding farm in Ocala. Several years later, he began graduate research in equine reproductive physiology at the University of Florida under mentor Dr. Dan Sharp, while managing the endocrinology lab at the University of Florida College of Veterinary Medicine. Dr. Sheerin then entered the veterinary school, where he expanded his interest in theriogenology, particularly large animal theriogenology. After graduating from the University of Florida College of Veterinary Medicine in 1994, Dr. Sheerin joined a mixed practice in Live Oak, Florida prior to moving to New Freedom, Pennsylvania to join Nandi Veterinary Associates. Dr. Hurtgen’s knowledge and teaching encouraged Dr. Sheerin to return to the University of Florida for a theriogenology residency. Dr. Sheerin became board certified in 2001, and upon completion of his residency, Dr. Sheerin and his family returned to New Freedom. The following year, the Sheerins moved to Lexington, Kentucky to join Rood and Riddle Equine Hospital, where Dr. Sheerin joined one of his veterinary school mentors, Dr. Michelle LeBlanc, as a staff theriogenologist. The Sheerins returned to Nandi in 2011 to continue Dr. Hurtgen’s legacy. He is a member of the American Association of Equine Practitioners, the American Veterinary Medical Association and the society for Theriogenology. Dr. Sheerin has lectured both nationally and internationally on reproductive aspects of the mare and stallion. Dr. Sheerin and his wife Barbara have three daughters. Mary is currently a junior at the University of Kentucky, and twins Anne and Sarah are high school seniors. The girls are active in Pony Club and participate in eventing. Pete and Barb compete in combined driving with a homebred pony. Barb was born and raised in Cincinnati Ohio, attended The Ohio State University and graduated from the University of Florida. After graduation Barb worked at the University of Florida College of Veterinary Medicine Department of Reproduction for over 15 years. She is currently the laboratory manager at Nandi. Barb is active in pony club with daughters Anne and Sarah. Together Pete and Barb compete in combined driving with their Welsh/Arab cross pony. Meagan started at Nandi in February 2018. She oversees the daily duties of the employees and the care of the horses. In addition to coordinating herd health, Meagan assists in foaling, foal care, and handling stallions. 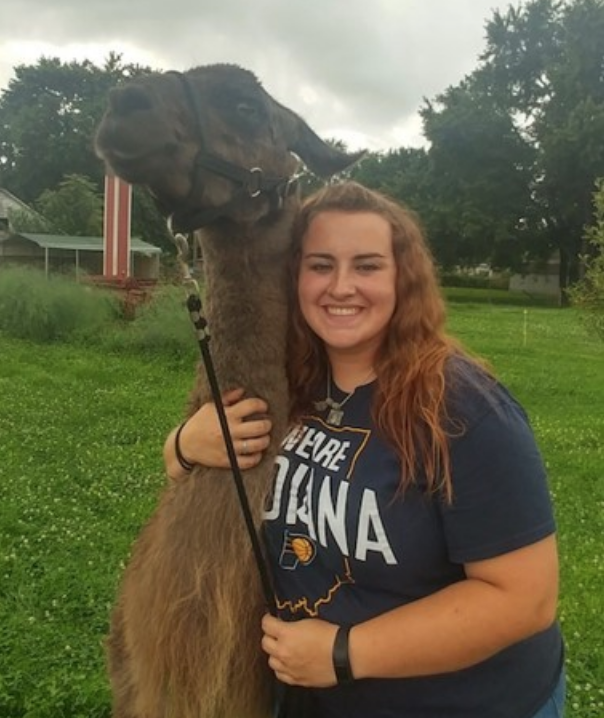 Meagan graduated from Purdue University in December 2015 and completed a breeding internship with Diamond Creek Farm PA. She then worked for Diamond Creek Farm in Kentucky where she worked with mares, weanlings, and yearlings. Horses are a change of pace for Meagan who grew up on a llama farm. Dr. Hurtgen was the founding veterinarian of Nandi Veterinary Associates in 1985. Dr. Hurtgen was a Board Certified Theriogenologist who was highly regarded by his peers. He served as President of the Society for Theriogenology and was a Board Member of American Association of Equine Practitioners and a faculty member at New Bolton Center and University of Minnesota.